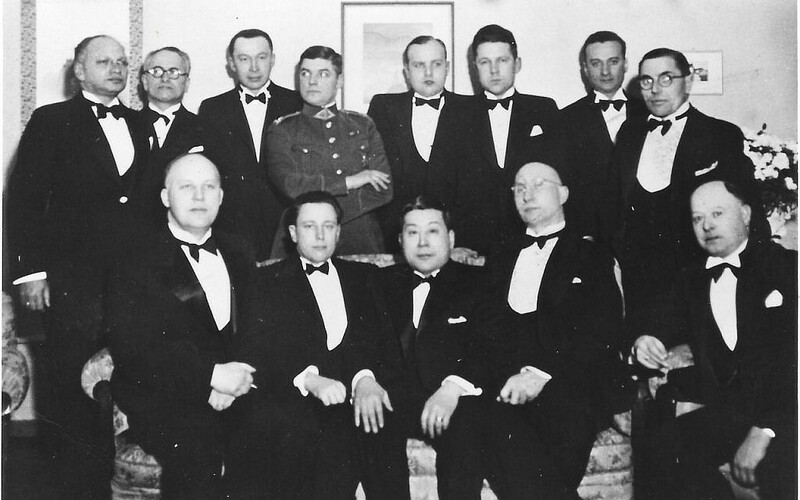 Beating out revolutionaries, monarchs, and even baseball stars for the top spot was Chiune Sugihara, Japan’s World War II ambassador to Kovno, Lithuania. 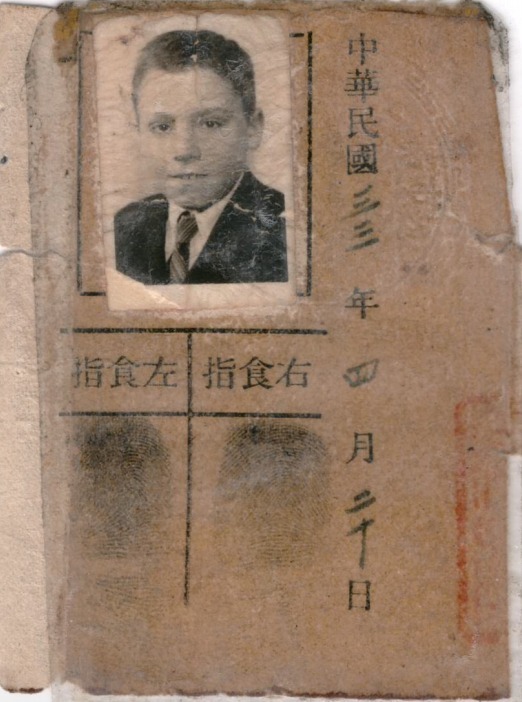 In the article, he is hailed as “a man who defied the Japanese government and risked his career to save the lives of thousands of Jewish people.” The piece in the Tokyo Weekender, distributed monthly in embassies, hotels, airports and other tourist locations, is just one of many heralding the former diplomat’s good deeds. Sugihara is now a symbol of humanitarianism during a dark period of Japanese history. 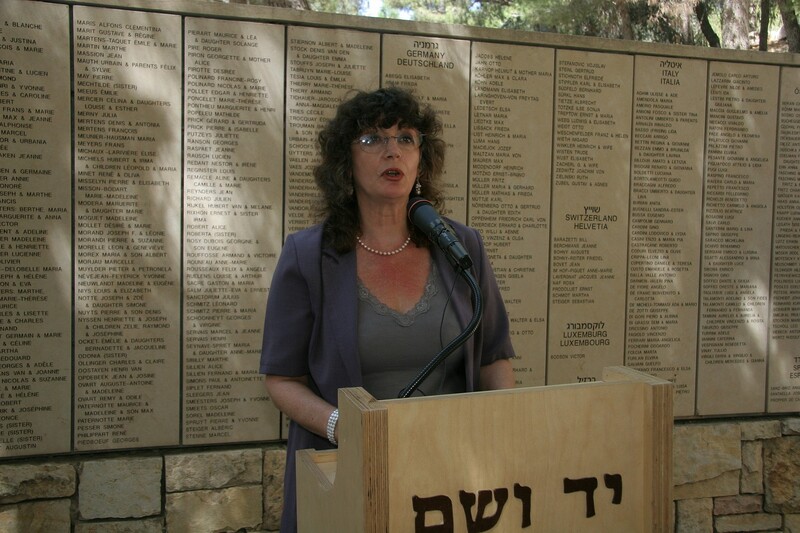 There is a recent media awareness of the Righteous Among the Nations, which drastically increased his national and international profiles. However, even as Sugihara’s courageous acts are amplified on the world stage, there is concern that this story of a long-dead former diplomat now has currency in contemporary Japan for reasons far beyond his humanitarian legacy. As Japan publicly debates amending its constitution to remilitarize, the timing of Sugihara’s popularity makes one wonder: Is the press’s intention merely to tell a compelling story of life-saving good deeds? Or is Sugihara a smokescreen to aid Japan in finding absolution for its crimes during the last time it had an army — World War II — and prepare the country for a newly bolstered military? Recently in Japan, a multi-million dollar tourist campaign targeted Jewish Americans and Israelis. It was initiated by the government in Sugihara’s birthplace, the Gifu Prefecture, in partnership with JTB, the country’s largest travel company, and the Japanese Tourism Ministry. Along with five other Jewish journalists, I participated in a tour of the land-locked prefecture’s new Sugihara Trail tourist package. The multi-stop trip explores — and exploits — his childhood stomping grounds. There is evidence, however, that the basic facts of Sugihara’s life and lifesaving deeds are increasingly manipulated by a growing cast of characters — coming straight from the top. Who was Sugihara? A diplomat? A spy? A secret Christian? A hero? Definitely a good man; his deeds were recognized in 1984 by Israel, which bestowed upon him the title of Righteous Among the Nations, and posthumously by Japan in 2000. Born in 1900, during his short stint in 1939-40 as the Japanese vice consul to Kovno (today Kaunas), Lithuania, Sugihara is credited with issuing up to 3,500 transit visas to Jewish refugees and families who had fled Nazi-occupied Poland ahead of Germany’s invasion of then-independent Lithuania. 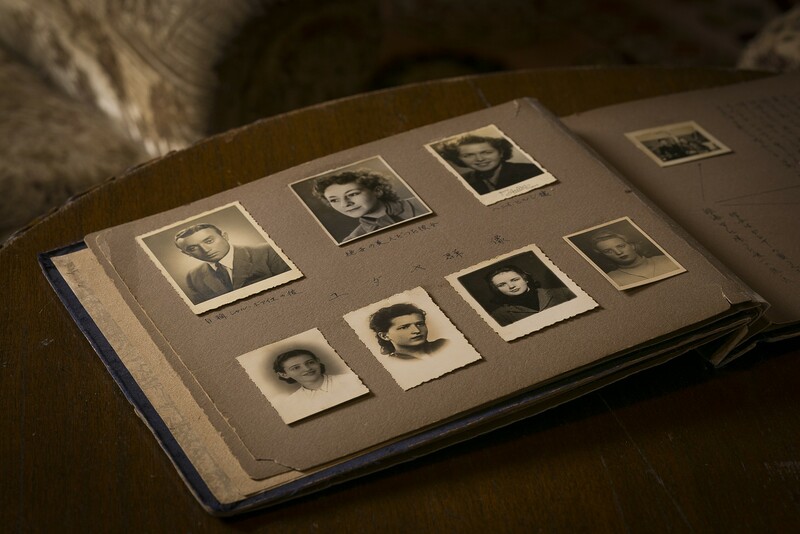 With these visas, and a complex mechanism of aid from other consuls, companies, and individuals, up to 10,000 Jews are thought to have been saved from WWII Europe. For a period, Japan and Japanese-controlled Shanghai were places Jews could enter. And they did, through the humane actions of Sugihara. 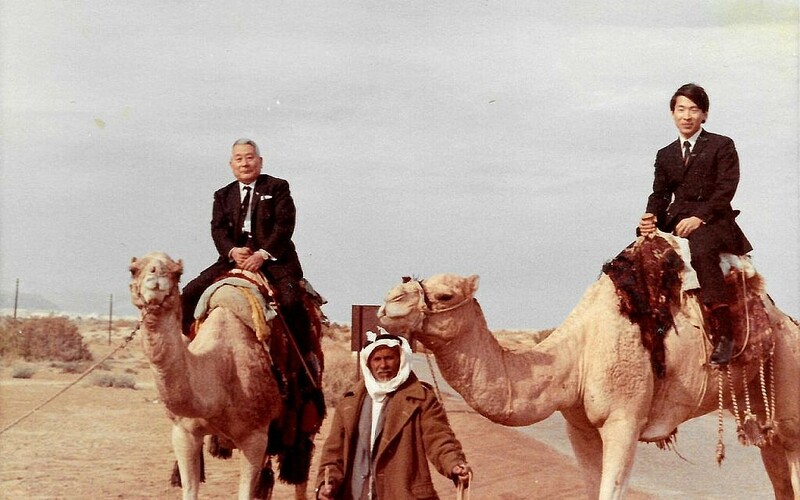 In Japan and later in follow-up research back home in Israel, I came to understand that in the decades since the 1968 rediscovery of Sugihara’s wartime work by an Israeli diplomat, the undeniably good — even heroic — actions of the man have become inextricably conflated with the now-prevalent myth posthumously constructed after his death in 1986. Today, Sugihara is lauded internationally as an anti-establishment figure who went against orders in lockstep Japan to save the Jews. According to this narrative, after 18 months of dire Soviet captivity in Romania starting in 1944, he returned to Japan and in 1947 was fired by the Foreign Ministry for his deeds in saving the Jews. For his humane work, he lost his pension and died in poverty. However, say historians and his sole surviving son, almost none of this is true. It is a story even more twisted than the roads within the blushing foliaged mountain ranges that make up some 80 percent of picturesque rural Gifu. But like this heartland of Japan, at its core his tale is naturally beautiful. 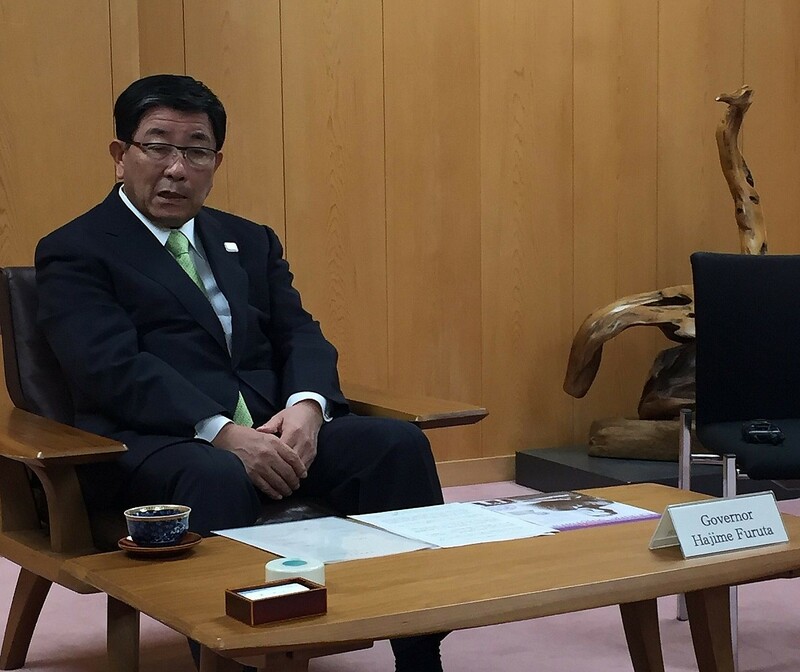 The governor of Gifu Prefecture, Hajime Furuta, entered the carefully arranged room to formally meet our group of journalists with all due pomp and circumstance. Wearing a pressed dark suit and crisp white shirt, Furuta, a former diplomat and governor since 2005, greeted each of us with a bow and the traditional two-handed exchange of business cards. Speaking through his impressive interpreter Mari Yamada, Furuta touched on the universal humanitarianism of Sugihara’s legacy. In 1939, Sugihara was sent to Kovno where, exploiting his Russian language skills, he was to report back to Japan about any German or Soviet military movement in the area, which would allow Japan time to move its troops. In short, like every wartime attache, he was a diplomatic spy. 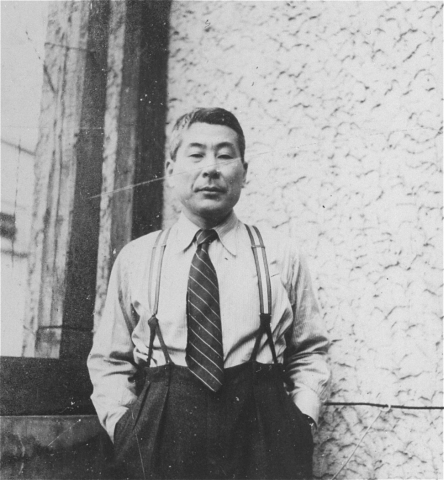 Boston University Prof. Hillel Levine confirmed Sugihara’s career in espionage. In conversation with The Times of Israel in a bustling Ramat Gan cafe, the author of “In Search of Sugihara: The Elusive Japanese Diplomat Who Risked his Life to Rescue 10,000 Jews From the Holocaust,” told an anecdote illustrating Sugihara’s shrewdness: In a big American Buick, Sugihara would cruise around Kovno and ask lumber merchants who was stocking wood and for whom. Whichever army was going to invade, he figured, they would begin purchasing wood for soldiers’ coffins. 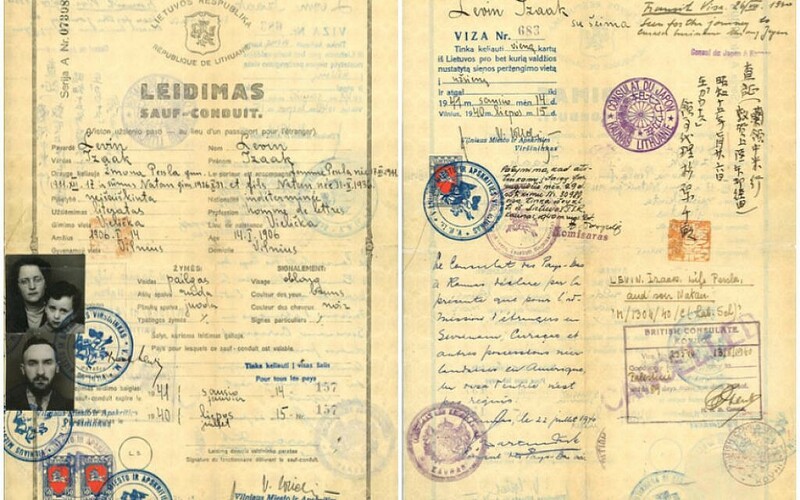 However, faced with an increasing number of Polish Jewish refugees, he began issuing transit visas after his aid was enlisted by a Dutch salesman-turned-diplomat, Jan Zwartendijk, who himself issued “visas” for the Dutch Caribbean island of Curacao — which did not actually require them. For those who held the Dutch visas, the Japanese visas were required to get a ticket out of war-torn Europe through the Trans-Siberian Railway. 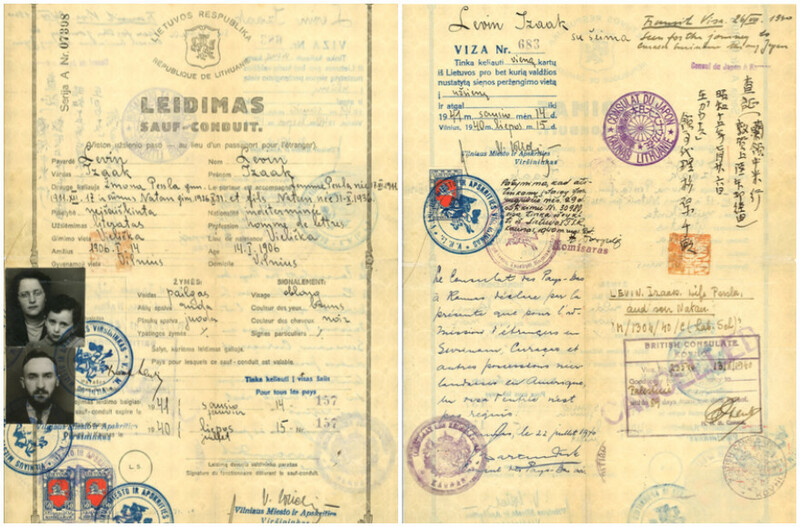 Sugihara, taking a broad view of his authority while in Lithuania, issued these visas. Ultimately, many thousands who held passports with visas issued by Sugihara reached safe harbor. According to author Levine, Sugihara’s visa alone didn’t get them there; rather, the Jews required the help of many other good people all along the line. But more than a train or boat ticket, it was Sugihara’s signature that “turned questionable will into goodwill,” said Levine. “So many of the things that happened along the line were contrary to logic. I’m not prone to stories of demons or angels, but that kind of powerful goodness is contagious,” said Levine. One of the predominant narratives about Sugihara is that he issued visas to Jews against Foreign Ministry orders. In an almost Judeo-Christian fable, Sugihara sends out three telegrams to headquarters about issuing visas to the Jews, only to receive three refusals. According to Levine, the Japanese Foreign Ministry was well aware of the transit visas Sugihara issued in Lithuania. The tale of three refusals, he said, is fiction. Evidence shows Japan was informed of Sugihara’s deeds in Kovno — by Sugihara himself. 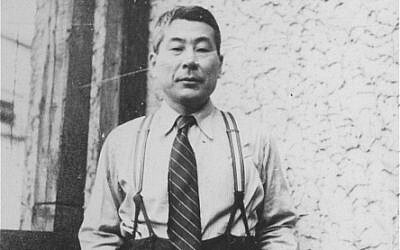 After the Soviet invasion of Lithuania in the summer of 1940, Sugihara was transferred to Berlin. “In Berlin he reported his actions to the ambassador, Kurusu Saburo, who belonged to the pro-American faction in the Foreign Office and did not say a word,” said Polish researcher Dr. Ewa Palasz-Rutkowska in a 1995 lecture. 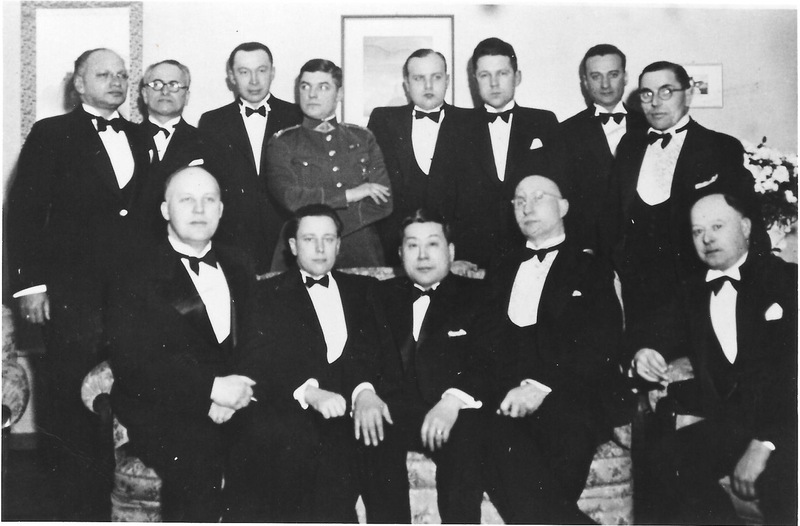 Subsequently, Sugihara was moved to Prague as consul general. “From there he sent his own report to the Foreign Office, stating that he had issued 2,092 visas,” said Palasz-Rutkowska. 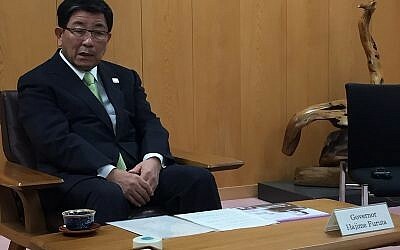 In our meeting with Gifu’s Governor Furuta, his nuanced take on the complicated narrative of an anti-establishment Sugihara was that the diplomat was “a creative thinker” who, while trying to issue visas to the Jews, intentionally prolonged the conversation with the Foreign Ministry on the matter until the Kovno consulate was closed. “While it was a discussion without resolution,” said Furuta, Sugihara could issue the visas. During the course of Levine’s research, he found telegrams both in the Japanese archives and, in translation, in the US archives, which had been gathered after the military broke the diplomatic telegraph code. The telegrams, which recorded communication between Sugihara and the Foreign Ministry about the issue of visas for the Jews, support the governor’s theory of an unresolved discussion. “I don’t remember that it was exactly a question or exactly a refusal,” Levine said. However, Levine claimed Sugihara was independently able to issue the visas. “There is no question, he had the authority,” said Levine, who said he examined the pertinent laws and regulations with Japanese legal experts. In versions of Sugihara’s story, another dominant “fact” is that he was punished by the Japanese government — fired from his post and stripped of his pension. Quite the opposite: The bare facts show that following his time in Lithuania, he was steadily promoted for the next seven years. In March 1941, Sugihara was transferred to Königsberg (present-day Kaliningrad, Russia), where he again “was to provide information about German and Soviet troop movements,” said Palasz-Rutkowska. But in Königsberg, Sugihara the spy was found out. “Eventually the Germans pressed the Japanese Foreign Office to recall Sugihara as a persona non grata,” she said. 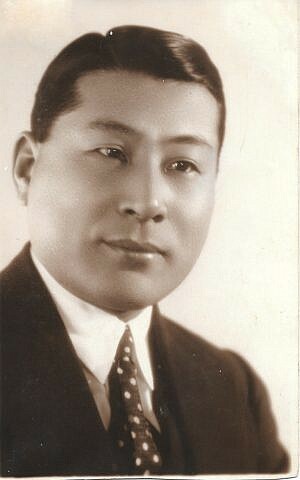 Sugihara was moved to Bucharest in 1942, where he received a promotion in 1943. In 1944, he was awarded Japan’s Order of the Sacred Treasure, 5th Class. 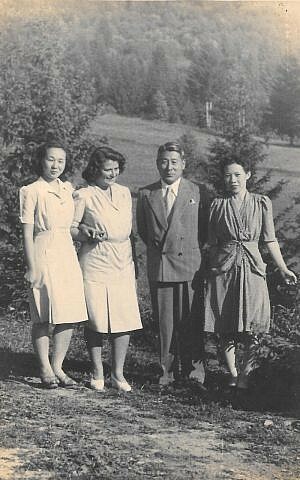 With the Soviet occupation of Romania in 1944, Sugihara and his family were interned in a POW camp for 18 months as foreign agents. Upon his return to Japan, he was asked to resign from the foreign ministry by 1947. But was Sugihara’s forced resignation a punishment for “going against orders” and issuing the visas to the Jews? Levine said with certainty that the issuance of the transit visas was definitely not the reason for his dismissal in 1947. Rather, he said dryly, if one is searching for a government to blame, blame the American government. According to the United States Office of the Historian, “Between 1945 and 1952, the US occupying forces, led by General Douglas A. MacArthur, enacted widespread military, political, economic, and social reforms” in Japan. During the Allied Occupation, government ministries, including Foreign Affairs, were restructured. Some 95% of diplomats were asked to resign at this time. Likewise, Levine said that in scouring the Japanese records, he discovered documents that show Sugihara received the same pension that all other former Foreign Ministry workers did. Levine stated bluntly, “When the Japanese government sensed there was disobedience, they didn’t take it lightly.” He would have been recalled, and possibly killed, had the Foreign Ministry been opposed to his actions. 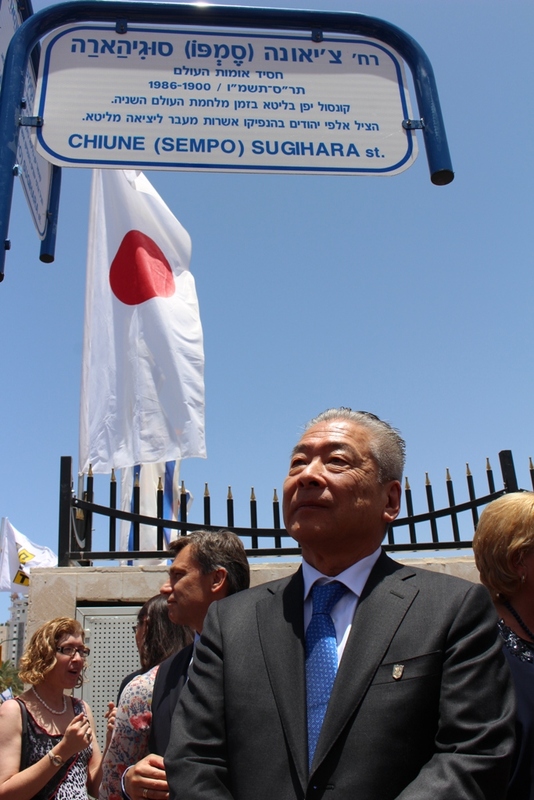 “The Japanese, while they did lots of awful things — punishing Sugihara was not one of them,” said Levine. In the Japanese Foreign Ministry archives, Levine uncovered what he calls the “Sugihara List.” He said there were some 6,500 names on the Japanese rolls, but “just looking at it visually, some of the names are families, not individuals.” Thus, the number of saved Jews he credits to Sugihara is circa 10,000. Levine said that ultimately, several “Sugihara” stamps were made. 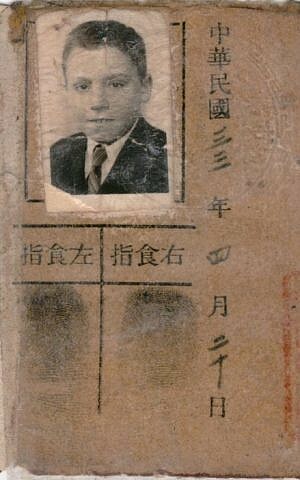 At one point in the basement of the Kovno consulate, he “had a yeshiva bochur[student], and a Gestapo agent who was monitoring Sugihara, stamping.” Some of those stamps, said Levine, ended up in hands of Polish priests or other Christian religious people, meaning several other people were giving out visas bearing the Sugihara name. “The rescue activity went on long after Sugihara left and probably involved many people who didn’t get out,” said Levine. “It was the largest rescue before the beginning of WWII” for Japan, which joined Germany and Italy to form the Axis in 1940. 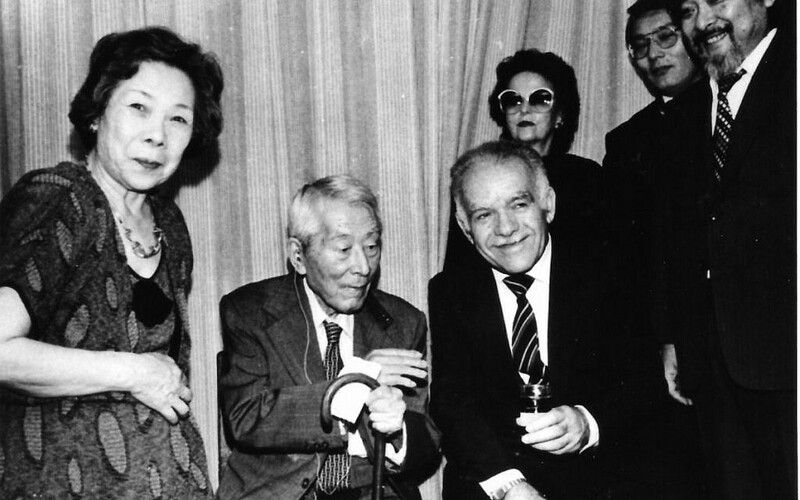 It was only in 1968 that the process of thanking Sugihara began when his whereabouts were discovered by an Israeli diplomat to Japan, Jehoshua Nishri, who had been helped by one of his visas. 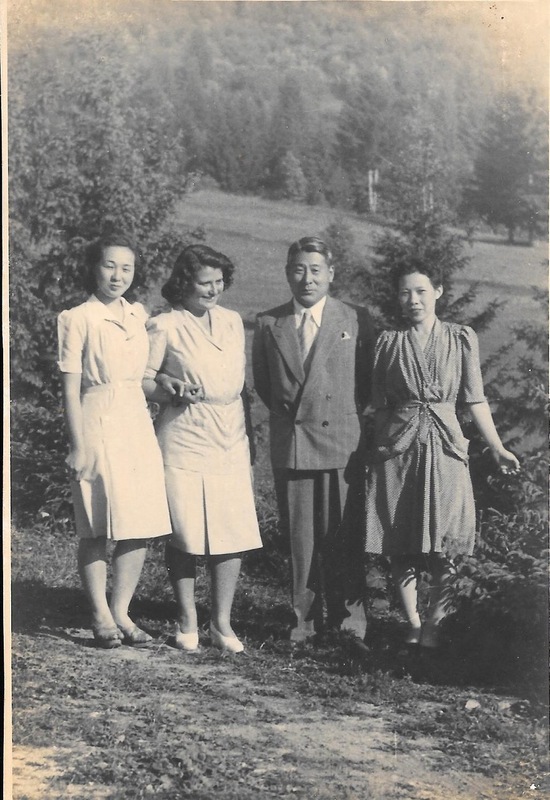 By then, again utilizing his Russian fluency, Sugihara was a businessman based out of Moscow, but happened to be home in Japan on a family visit. 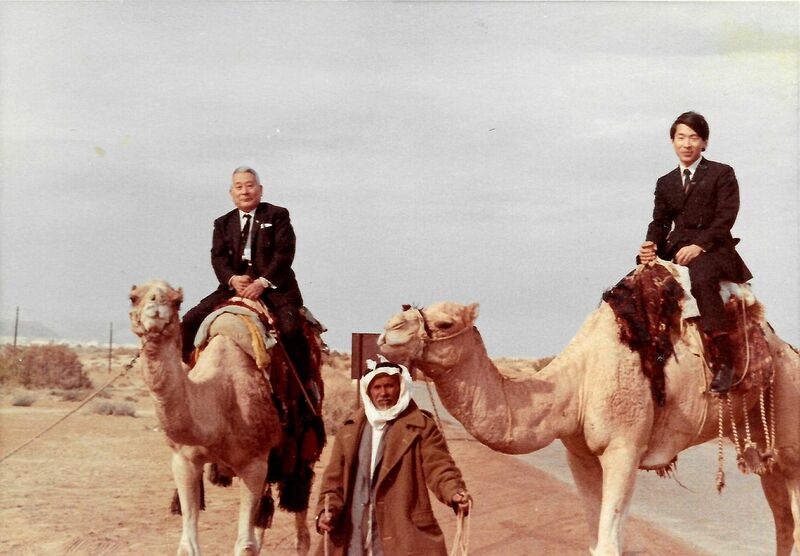 The story goes that when Sugihara, was asked by Nishri, an economic attaché to the Israeli Embassy in Tokyo, how Israel could possibly repay him, he pointed to his youngest son, Nobuki, saying in effect, take him and see him educated. 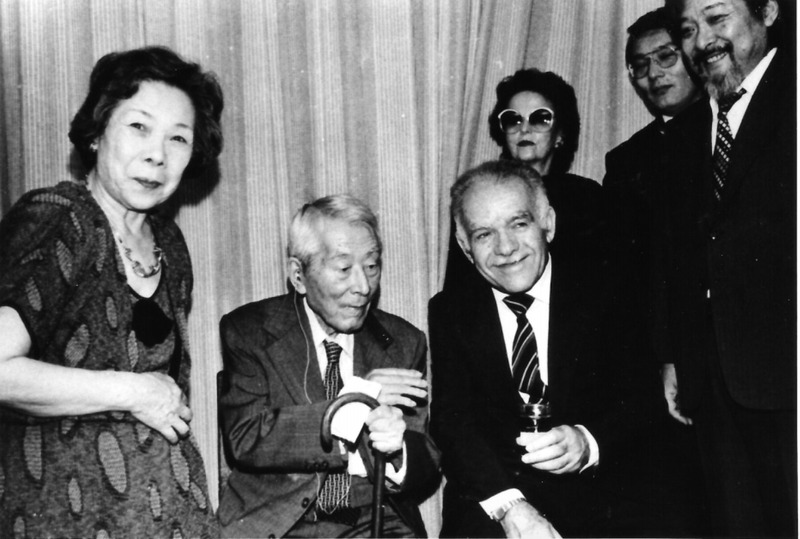 Nobuki told The Times of Israel that he attended the Hebrew University in Jerusalem for two years, where his father visited him in 1969 and met with government officials, including former minister Zerach Warhaftig, a signatory of Israel’s Declaration of Independence and a member of the delegation that convinced Sugihara to issue visas for the entire Mir Yeshiva. 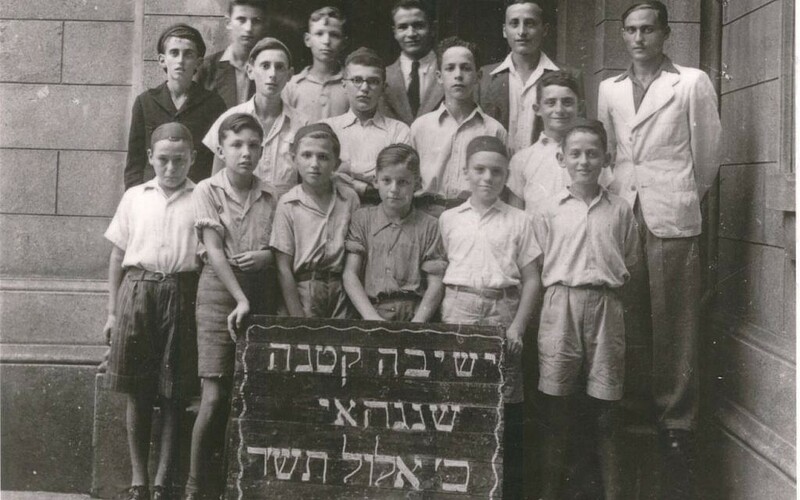 According to Yad Vashem, the Mir Yeshiva was the only one to leave Lithuania in its entirety. But if Japan was aware of his actions, was he really risking his life, freedom, and safety in issuing the visas? 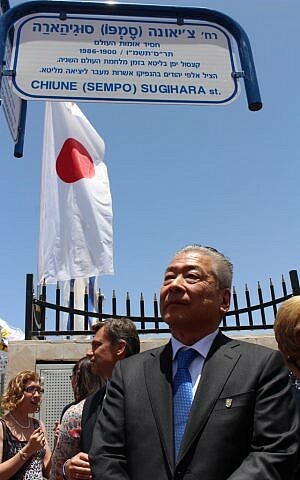 In Israel, the story of Sugihara is arguably even better known than in Japan. When entering his name into Waze, this Israeli reporter discovers there is even an alley in Tel Aviv, a street in the coastal city of Netanya, and a park in Jerusalem named in his honor. Over the years, tens of thousands of students have also passed a large portrait of the former diplomat on a hallway in Jerusalem’s Hebrew University. 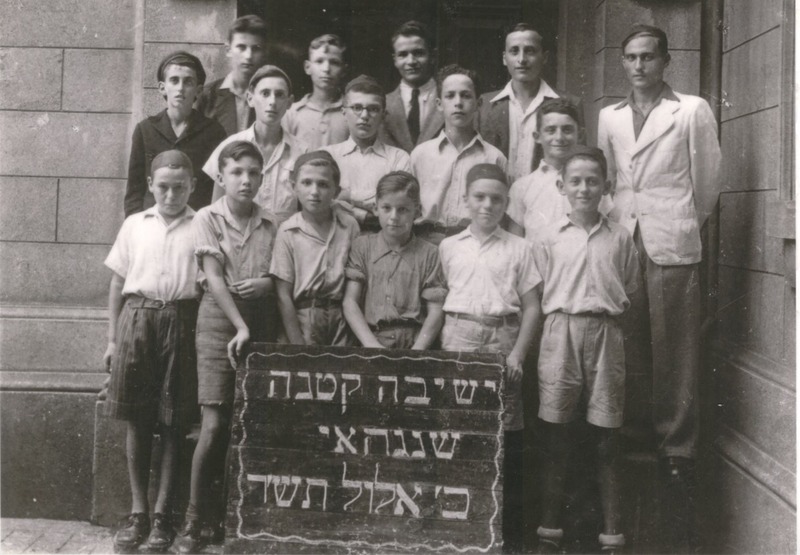 “Every story of the righteous is fascinating, but the Japanese element draws curiosity,” said Irena Steinfeldt, the director of Yad Vashem’s Righteous Among the Nations program. 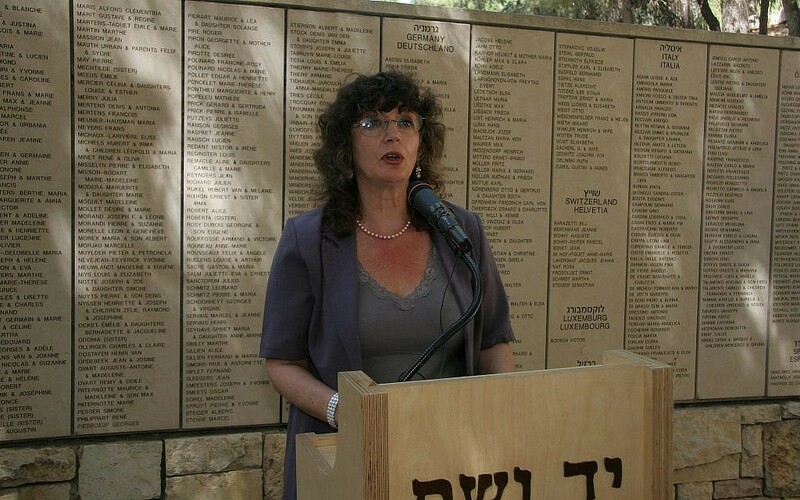 Speaking from her Jerusalem office, she said there is a trend of new Holocaust museums and memorials in countries that were not affected by the Nazis’ genocide of the Jews. “The Holocaust is used as a major moral paradigm in many countries where the Holocaust didn’t happen,” she said, citing a new museum in Guatemala. For Steinfeldt, the amplification of Sugihara’s saga in Japan doesn’t necessarily raise red flags. “In Japan, it could be that they are saying, ‘We have a story to tell, too,’” she said. At the same time, she added, showcasing the more humane face of Sugihara, may help Japan’s complicated history with China and its treatment of the Jews in the Shanghai ghetto to be overlooked. Highlighting a rescuer, she said, “shows a nice, positive face” for WWII-era Japan. “And he really was,” Steinfeldt said emphatically. “It’s an extraordinary story. It’s a story of human solidarity,” she said. Putting his deeds into context, Steinfeldt said that in 1939-40, Polish Jews were fleeing their country but were still not fully aware of the real threat. 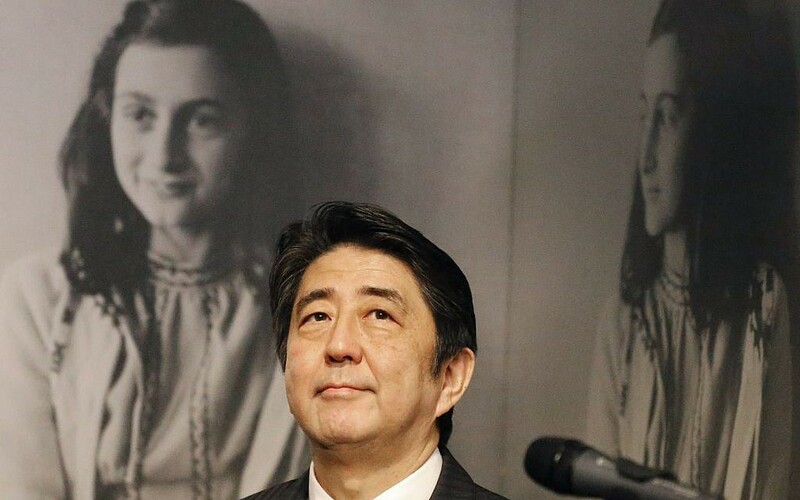 The Japanese government, as well, did not know the scope of the Germans’ actions against the Jews at that time, she said. “There was a genocidal atmosphere in Germany, but still no blueprint for action,” said Steinfeldt. The Final Solution was ratified at the Wannsee Conference near Berlin in in January 1942, a year and a half after Sugihara issued his visas. The Polish refugees “knew the Germans were cruel, they knew terrible things were happening. 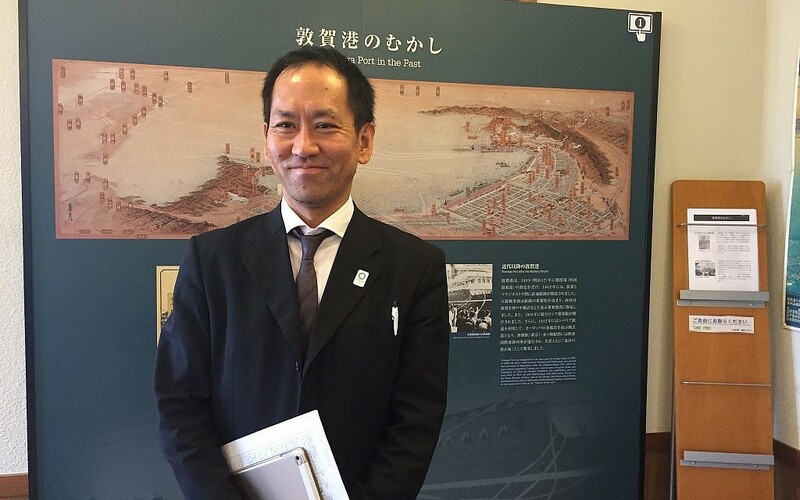 The panic was real… And here is this Japanese diplomat in Kovno. He has no connection to the Jews. They’re not his people or religion or even country… They had nothing in common,” said a still-stunned Steinfeldt. And yet he issued thousands of life-saving transit visas. Nobuki said his father didn’t think his actions were so important. “He didn’t think it was a great deal what he did: he just issued visas,” said Nobuki. “I don’t think that my father should be honored as a hero… he was not fighting, he was just an honest person,” said Nobuki. If anything, he said, “he was fighting within himself” to do the right thing for the Jews. Japanese Prime Minister Shinzo Abe has promised to amend the pacifist clause of the country’s post-WWII constitution with a new section that would allow for a more robust defense force by the Summer Olympics in 2020. But while some 71 percent of the country is willing to consider it, Abe needs to allay the public’s fears as manifested in numerous demonstrations against steps he’s taken since 2015 to bolster the military. Could Abe’s repeated public praise of Sugihara, along with the push for increased tourism to the former diplomat’s childhood home, be part of a ploy to do so? Levine says there appears to be a concerted effort on the part of the upper echelons of Japanese government to manipulate the diplomat’s legacy. He points to the recent, decidedly non-pacifist dramatized film based on Sugihara’s life, “Persona Non Grata,” which Levine claims was funded by cronies of the prime minister. “To say now that strength is valor is neo-feudalism in Japan,” he said. “This distortion comes from the highest level,” said Levine. According to another respected historian of contemporary Japanese society who refused to go on record with The Times of Israel for fear he himself would become persona non grata in the research facilities in today’s nationalist Japan, Sugihara’s legacy is being cynically used by Japan’s government to change the country’s image and rewrite its historiography. However, even if it is indeed the government’s plan to displace lingering WWII shame, it may not be completely successful. During our November trip to Gifu we journalists were meant to have covered the celebratory inclusion of a new Sugihara “Visas for Life” Trail into the UNESCO Memory of the World program. 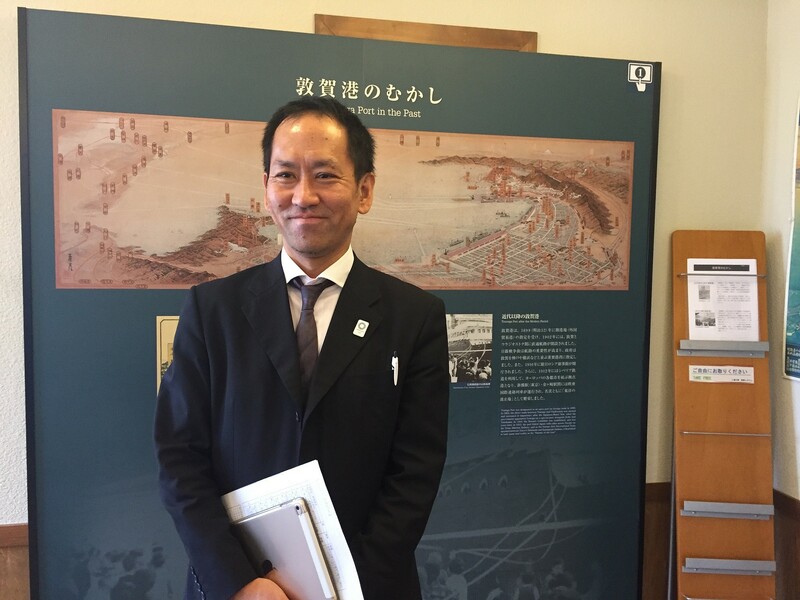 In the high-profile trip, we were invited to meet with the prefecture’s governor, the regional head of Japan’s largest travel agency, JTB, and tour sites relating to Sugihara — from his purported birthplace to the Tsuruga port where “his” Jews embarked. Weeks before our arrivals, however, we were told in a despondent email by the initiator of the journalists’ trip that the UNESCO application was rejected. There are whispered rumors of forged documents. An UNESCO spokesman said the organization only releases the information to the nominees. By publication time, the Gifu team said it has not yet received from UNESCO the reason for the rejection. Today, faced with an existential missile threat from Korea, the Japanese public is revisiting its WWII history. Even as it debates the need for a strong military, through increased awareness of Sugihara its WWII perception could incrementally shift from aggressor to savior. Using the good man’s deeds, a once and future militarized Japan can be portrayed as a savior of the world’s ultimate victims, the Jews.